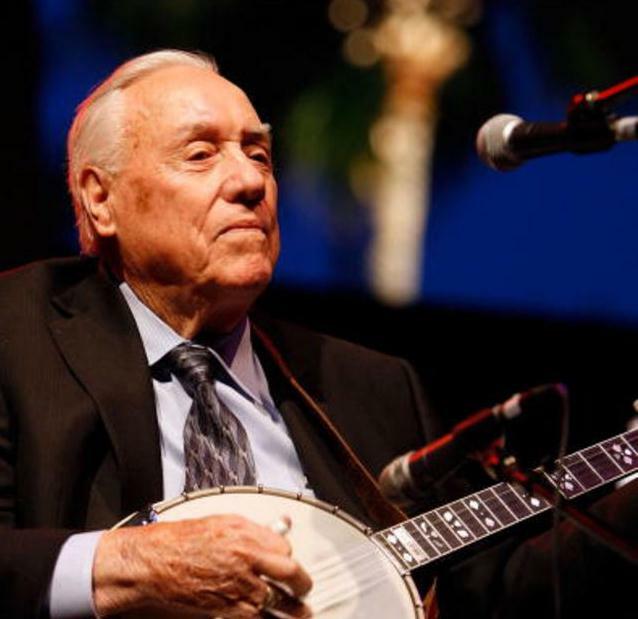 Country Music Hall of Famer Earl Scruggs, a singular talent of collective import, died Wednesday morning at a Nashville hospital. He was 88. A quietly affable presence, Scruggs popularized a complex, three-fingered style of playing banjo that transformed the instrument, inspired nearly every banjo player who followed him and became a central element in what is now known as bluegrass music. But Scruggs' legacy is in no way limited to or defined by bluegrass, a genre that he and partner Lester Flatt dominated as Flatt and Scruggs in the 1950s and '60s: His adaptability and open-minded approach to musicality and to collaboration made him a bridge between genres and generations. Rather than speak out about the connections between folk and country in the war-torn, politically contentious '60s, he simply showed up at folk festivals and played, at least when he and Flatt weren't at the Grand Ole Opry. During the long-hair/ short-hair skirmishes of the '60s and '70s, he played with Bob Dylan, Joan Baez and The Byrds. And when staunch fans of bluegrass — a genre that would not exist in a recognizable form without Scruggs' banjo — railed against stylistic experimentation, Scruggs happily jammed away with sax player King Curtis, sitar virtuoso Ravi Shankar, piano man Elton John and anyone else whose music he fancied. "He was the man who melted walls, and he did it without saying three words," said his friend and acolyte Marty Stuart in 2000. In truth, Scruggs could sometimes be quite loquacious, but he rarely made an utterance that wasn't considered. He said what he thought, but never before he thought. Asked about recording with Baez during a time when Baez was viewed by many in Nashville as hyper-liberal and undesirable, Scruggs said, "Well, I didn't look at it from a political view. And I thought Joan Baez had one of the best voices of anybody I'd ever heard sing." Of course, none of that would have been notable or possible had Scruggs not mastered the banjo in a way that no one before him had, and in a way that almost everyone after him sought to. Before Scruggs came to popular attention in December 1945 when he joined Bill Monroe's Blue Grass Boys on the Grand Ole Opry, the banjo was as likely to be employed as a clattering comedy prop as it was a serious music-making tool. Perhaps Scruggs did not "invent" the technique of striking the banjo strings with three right-hand fingers in a way that produced sounds of far greater intricacy than could be summoned through the then-popular "frailing" style of banjo playing. But while others in Scruggs' native North Carolina and in neighboring South Carolina practiced with three fingers, Scruggs perfected and popularized the style. When a 21-year-old Scruggs auditioned for Monroe, the bandleader heard the final piece in a sound he'd been working to construct. And Scruggs' first performance with the Blue Grass Boys, on Dec. 8, 1945, was the "Big Band of Bluegrass," offering a template — guitar, mandolin, upright bass, fiddle and Scruggs-style banjo —still employed today. During Monroe's performances, Opry boss George D. Hay often introduced Scruggs as "The boy who made the banjo talk." If others had made it speak, Scruggs taught it a master class in what must have seemed a foreign language, offering a vocabulary and clarity of expression never before attained and rescuing the instrument from creeping oblivion. Click on Earl's picture to hear the service given in his honor at the Ryman on Sunday April 1st.